I'll admit it, configuring Apache scares the bejeezus out of me. 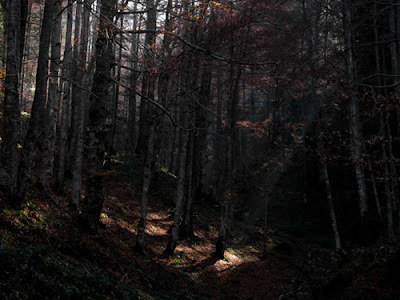 The documentation seems to be so focused on the trees, that the wood becomes an impenetrable, gloomy forest. I guess I'm not alone in this, which makes Ramon Leon's posts on configuring Apache with Seaside(1, 2, 3) so useful. Despite this, I've still steered clear of going near Apache, until Ramon posted a sample extract of configuration text. Now, cut-and-paste is something I can do, so I decided to give it a go. I'm on Mac OS X, so Apache is installed and running by default. Despite my earlier protestations, I have played with Apache before, so I knew that httpd.conf was the key file to control how Apache runs. A bit of poking about in man files uncovered the location of the file I needed: /private/etc/apache2/http.conf. which would start Apache listening on port 81 as well as port 80. I could then use port 81 for my experimentation. Typing sudo /usr/sbin/apachectl restart caused Apache to restart, hopefully loading my change. Success (so far) - Apache is trying to deal with my request, and using its default handler. # re-configure Seaside to change the urls it generates. into the virtualhost directive, and re-started Apache once more. This time it all worked like clockwork. 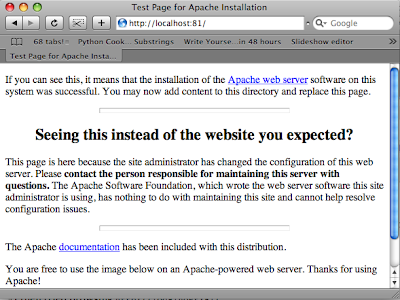 Twenty minutes of not very challenging experimentation, and I now have Apache working as my front-end webserver. That means, all the handling of static files can be done outside of Squeak, I can configure my responses if the Squeak images crashes, I get access to all of Apache's features such as logging, SSL etc. Not a bad half-hour's work really. 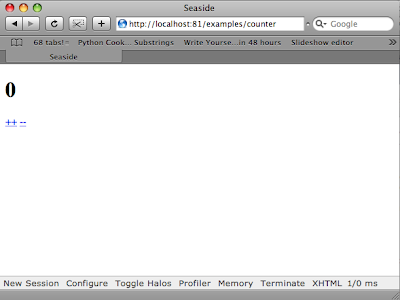 My config assumed the basePath on the Seasdie app was set to /, so Seaside generates the URL's correctly. I knew there was a tweak that could be applied to Seaside, but didn't want to distract myself from the excitement of configuring Apache. Given your hint, I've played with the settings of the application in the /seaside/config configuration screen and what seems to work is setting the "Server Path" to the same as the application path - eg to "/my/applicationName" - given that I'm now able to remove the addtional lines, and revert to your original sample. Michael, your way to do it has the advantage that it keeps the default configuration of Seaside, so it will work both through apache and by connecting to Kom directly. Nice for debugging. I wonder if, instead of the Seaside base path, applications couldn't be directly mounted at different points in Kom ?